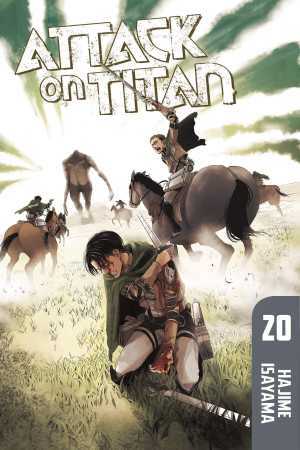 Home > News > KC Updates > “Road to 20”: Attack on Titan all digital volumes on sale! Right now all volumes of Attack on Titan (that's volume 1 through 19!) are on sale for just $5.99 at all digital bookstores—comiXology, iBooks, Kindle, Kobo, and nook. In addition, all digital chapters of Attack on Titan (through Chapter 87) will be on sale on Kindle and comiXology for 50% off. Sale runs through December 13, 2016. 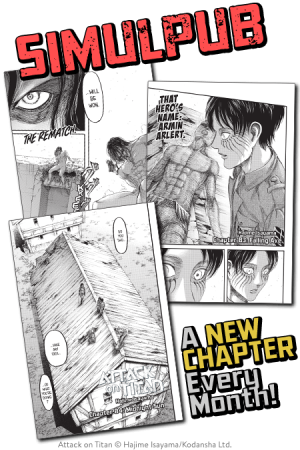 Get your digital edition of Attack on Titan, Volume 20 today! 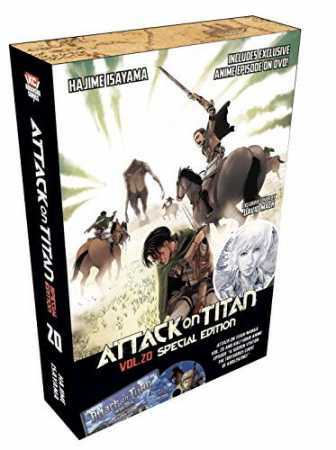 Attack on Titan, Volume 20 Special Edition comes with an original anime episode on DVD available nowhere else! Preorder Attack on Titan, Volume 20 Special Edition now! Simulchapters! 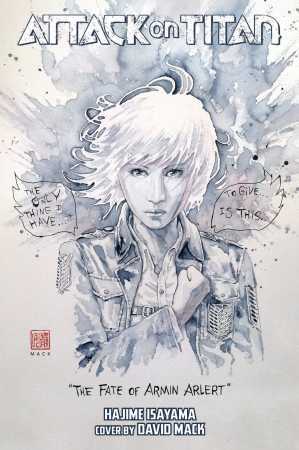 And did you know that you can read the latest chapter of Attack on Titan on comiXology? Yes, that means you can read these chapters on the same day they come out in Japan. That means you can read the story ahead of what's collected in the graphic novels. The newest chapter, Chapter 88, goes on sale December 8.